The generation of Canadians who rocked out to the 1960s song Marijuana by Country Joe and the Fish are seniors now, and some of them are curious about the potential health benefits of the drug ahead of its legalization on Oct. 17. A group of experts is trying to develop guidelines for doctors to help them answer the questions seniors may have. To try to address those and other questions, the Canadian Coalition for Seniors' Mental Health is developing cannabis guidelines to help clinicians advise older adults. Seniors' concerns include not just interaction with prescriptions but also the potential of the drug to increase heart rate and the risk of confusion and falls. And as with many health claims about cannabis, there hasn't been enough scientific research done to make definitive claims. 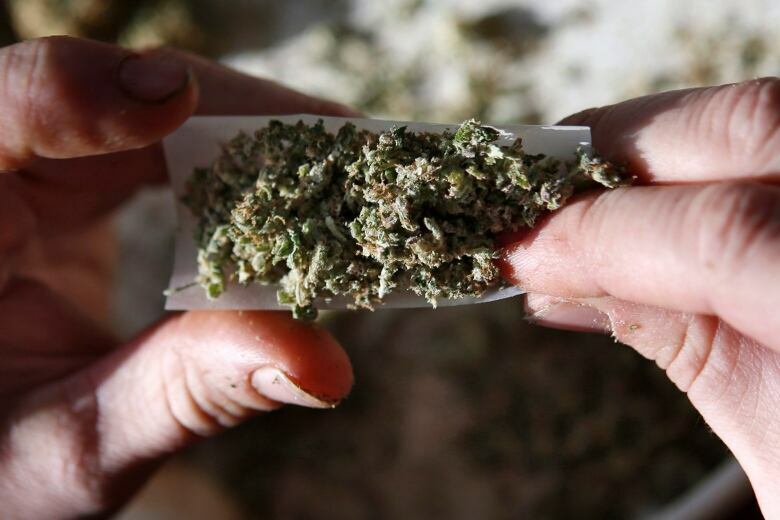 "The marketing of marijuana has really overshadowed the science," said Rand Teed, a drug and alcohol counsellor and consultant in Regina who is part of the coalition. "The information that doctors have received so far has been quite confusing for them in many cases. Initially, Health Canada approved cannabis for use with anxiety, but in lots and lots of cases, cannabis increases anxiety." Teed is one of nine specialists from across the country looking to get to the bottom of how cannabis can affect seniors. Health Canada is funding the endeavour, and the specialists expect to release guidelines as early as the end of 2018. The coalition's goal is to help physicians run through all the possible risks and benefits with patients. 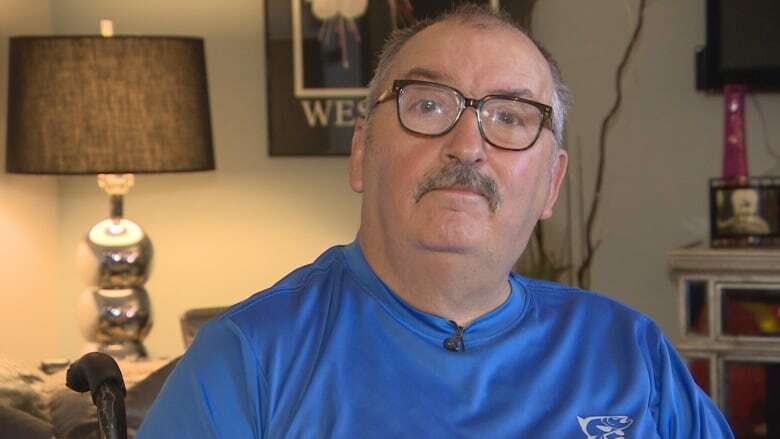 Len Boser, a 65-year-old cannabis user in Saskatoon, said cannabis allows him to sleep better. "[With pot], I can get a full night's sleep," he said. Boser has used marijuana recreationally for 40 years. For the last three years, he's also had a prescription from his doctor for cannabidiol, known as CBD, which is a compound derived from cannabis that he takes orally in the form of a tasteless oil. Boser said CBD, which is currently only legal with a medical marijuana prescription, doesn't get him stoned. Rather, he uses it to treat his chronic foot pain, depression and anxiety. "It may not be for everyone, but I certainly encourage its use," Boser said. "It certainly helps." ​Preliminary studies have been published about the oil's potential health effects, but scientists have said that there is not yet enough evidence to make sweeping claims about its health benefits. "We don't exactly know how cannabidiol works in the body," Robert Laprairie, an assistant professor at the University of Saskatchewan's college of pharmacy and nutrition, told CBC News in May. "I think we really just need more research and more studies in order to demonstrate whether cannabidiol is or isn't effective as a treatment for different conditions." Health Canada has also expressed concern over some of the therapeutic claims being made about cannabidiol. The coalition suggests if physicians determine that a patient could benefit from cannabis, they should prescribe it in the form of CBD, not tetrahydrocannabinol​, or THC, the main psychoactive agent in cannabis. "Seniors are more at risk of experiencing harm related to cannabis simply because of age-related changes that they experience," said Dr. Amy Porath, the director of research at the Ottawa-based Canadian Centre on Substance Use and Addiction who is leading the team creating new guidelines. "We hope this project puts the spotlight on this issue." Teed warns cannabis isn't a cure-all, especially in the case of seniors. "There's been some confusion between getting high and getting well," Teed said. "If you randomly start to use something without getting some decent information and decent advice, you're putting yourself at risk for creating some medical complications." So far, one of the biggest pieces of advice Teed has is to take it "low and slow." 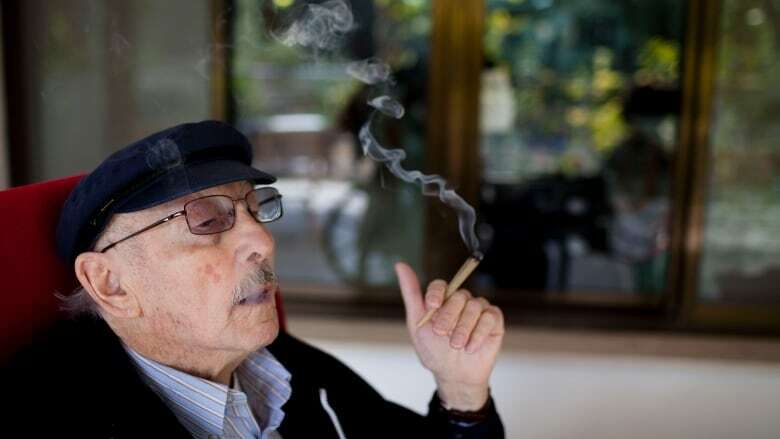 He suggests that if clinicians determine that an elderly patient might benefit from cannabis, they should start them on small doses — in part because the drug is more powerful now than it was when they may have tried it in their younger days. Not everybody agrees that today's marijuana is necessarily more potent than strains of the plant consumed in the past, but Teed said some research indicates that in the '60s and '70s, marijuana buds commonly contained about six to eight per cent THC, while today, it can be between 20 and 30 per cent. "That is a phenomenally different drug than you might have smoked when you listened to Country Joe," Teed said about the '60s group, whose song's words include, "I like marijuana, I sure like to get stoned." "It can be emotionally dependent-forming very, very quickly." Teed is working on a screening tool to help medical professionals spot cannabis dependence. Becoming reliant on marijuana is one of the biggest issues Dr. Meena Pole, a family physician, considers before recommending it. In her Regina medical office, older adults are frequently making appointments to ask her how they can use pot to relieve their symptoms, including pain. In some cases, Pole said, patients can replace traditional painkillers, such as opioids, with medical marijuana. She said she has seen a significant improvement in seniors who have been able to use pot for chronic pain and severe anxiety, but she doesn't prescribe or recommend the drug lightly. "Is this going to relieve the symptoms that they're having?" Pole said. "Is it going to decreases the number of medications or painkillers? … How is it going to affect their activities of daily living, and are they going to continue with their active lifestyle of day-to-day living?" The bottom line is that she would like more medical guidance and believes the recommendations from the Canadian Coalition for Seniors' Mental Health will be useful. "If they come out with definite guidelines, this will definitely help me," Pole said. "That can be helpful for many of the seniors to limit them asking us to prescribe for whatever they want."